What Factors Affect A Personal Injury Settlement? Many personal injury cases are settled before they enter the trial stage, especially since litigation is costly and time-consuming. Some are settled in the middle of a trial. Regardless of when a settlement is reached, attorneys and insurance companies apply various factors in calculating the settlement of a personal injury matter. Injuries that involve fractured bones, torn ligaments, herniated discs in the neck or back requiring surgery, traumatic brain injury, permanent scarring, or catastrophic injuries will generally result in higher settlements than cases involving sprains, strains and bruises. 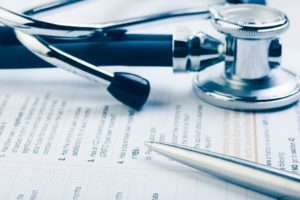 Any prior history of medical care or surgery to the area of the body where the injury is located will negatively affect the settlement value of a personal injury case. The treatment, diagnoses, and opinions of specialists will positively affect settlement value. It is far easier to estimate settlement values when your treatment has ended and you have finished all of your medical care. You generally do not want to settle a claim if future care is anticipated. However, if your case has to go to trial, we can ask your doctor to testify about future medical care. This can go into the jury’s calculation when they are considering a verdict. Not everyone or every business entity has the same amount of insurance coverage. The limit of insurance will have the final effect on any financial recovery. Many people carry the minimum level of automobile insurance coverage required by Pennsylvania law. The greater the amount of property damage, the greater the settlement value of a case. Any contributory fault by a plaintiff reduces the amount of damages and, therefore the settlement value of a case. Judges and jury demographics may differ from county to county and from state court to federal court. The juries in one county may typically award smaller judgments than another county. Juries in the local federal court may typically award larger judgments than those in the local state court. These tendencies affect the settlement value of a case. The attorneys at Powell Law carry on the work of a law firm that spans generations and has represented thousands of Pennsylvanians over a period of 113 years. Consult the experienced attorneys at Powell Law. Contact us online or call (570) 961-0777. You don’t pay unless we win.